Local Law 3 of 2018, which went into effect on January 1, 2019, limits the age of cranes to 25 years from their manufacture date. 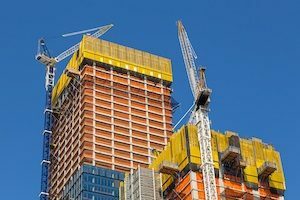 The change continues New York City’s efforts to promote construction site safety. For compliance purposes, the age of a crane is determined by the manufacture date of either the crane or its oldest major component. The Department of Buildings (DOB) service notice used the example of a tower crane manufactured in 1993, with a replacement engine manufactured in 2006. The newer engine does not “reset the clock,” and the crane would exceed the 25-year limit in 2019. The age limitation does not apply to derricks or to equipment being used for pile driving or clamshell work. For cranes that exceed the 25-year age limit, their CDs have expired and will not be renewed. Certain exceptions, however, may apply. Crane of 25+ years currently in use after receiving crane notification approval. Such cranes may remain on site until the project is completed. Crane approved for use on or before January 1, 2019, but will reach 25 years during project. Such cranes may remain on site until either the end of the project or the crane age reaches 28 years, whichever comes first. In both of the above cases, all required crane operation filings still apply. If you have any questions about how this change affects your projects, contact Metropolis Group at 212.233.6344.